The following is the transcript of Aethlon Medical, Inc. Medical’s First Quarter Fiscal Year 2019 conference call which took place on August 8, 2018 at 4:30 PM Eastern Time. Thank you operator and good afternoon everyone. Welcome to Aethlon Medical’s First Quarter Fiscal Year 2019 conference call. My name is Jim Frakes and I am Aethlon’s Chief Financial Officer. At 4:15 PM Eastern time today, Aethlon Medical released financial results for its first quarter ended June 30, 2018. If you have not seen or received Aethlon Medical’s earnings release, please visit the investor’s page at www.aethlonmedical.com. Following this introduction and the reading of our forward looking statement, Aethlon’s Chairman and CEO, Jim Joyce, will provide an overview of Aethlon’s strategy and recent developments. I will then make some brief remarks on Aethlon’s financials. We will then open up the call for the Q&A session. 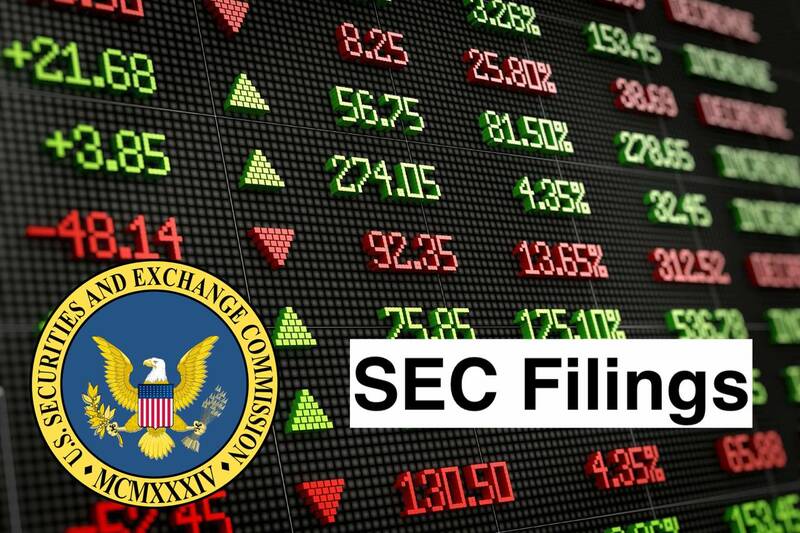 Before I hand the call over to Mr. Joyce, please note that the news release today and this call contain forward-looking statements within the meaning of the Federal Securities Act of 1933, and the Securities Exchange Act of 1934. The Company cautions you that any statement that is not a statement of historical fact is a forward-looking statement. These statements are based on expectations and assumptions as of the date of this conference call. Such forward-looking statements are subject to significant risks and uncertainties and actual results may differ materially from the results anticipated in the forward-looking statements. Factors that could cause results to differ materially from those anticipated in forward-looking statements can be found under the caption "Risk Factors" in the Company&apos;s Annual Report on Form 10-K for the year ended March 31, 2018 and in the Company&apos;s other filings with the Securities and Exchange Commission. Except as may be required by law, the Company does not intend, nor does it undertake any duty, to update this information to reflect future events or circumstances. With that, I will now turn the call over to Jim Joyce, Aethlon Medical’s CEO. Thank you Jim and good afternoon everyone. I have three program updates, which include the status of our Breakthrough Device designation to treat life-threatening viruses, several new disclosures related to the advancement of our Hemopurifier in cancer care, and an update on a clinical program being advanced by our Exosome Sciences diagnostic subsidiary. In regards to life-threatening viruses, we have aligned our Hemopurifier to fulfill the Department of Health and Human Service’s objective to advance broad-spectrum treatment countermeasures against life-threatening pathogens. Based on human and in vitro study outcomes, we believe our Hemopurifier is a leading candidate to fulfill the HHS broad-spectrum objective against life-threatening viral pathogens. Last September, the FDA designated our Hemopurifier to an “Expedited Access Pathway” program and then subsequently designated our device to the new “Breakthrough Device” program, which was established as a result of the 21st Century Cures Act being signed into law. Under the “Breakthrough Device” designation, the FDA allowed our proposed “Indication for Use” to be the treatment of life-threatening glycosylated viruses for which there are no approved therapies. Again, aligning with HHS’s broad-spectrum countermeasure objective. On October 25th of last year, FDA published its first draft guidance on the Breakthrough Device program which described the policies that FDA intended to use to implement the program by December 26th of last year. The draft guidance and related details can be accessed online at FDA.gov. In recent weeks, FDA has advised that the provisions that were introduced in the draft guidance document will not formally be implemented until FDA’s final guidance document has been published. In the interim and based on communications with FDA, we are considering a near-term supplement submission to our existing Compassionate-use IDE that is actively approved for the treatment of Ebola virus. The supplement would propose to expand our compassionate-use indication to include other life-threatening viruses. However, we cannot provide any assurance that FDA will approve our expanded companionate-use supplement to treat other life-threatening viruses. In parallel with the effort to advance our Breakthrough Device designation, we have been conducting several studies to reinforce the candidate use of our Hemopurifier to address a defined unmet need in the highly-valued cancer space. More specifically, the use of our Hemopurifier to deplete the presence of circulating tumor-derived exosomes in cancer patients. Tumor-derived exosomes have emerged to become significant therapeutic targets in cancer care, yet like many life-threatening viruses, they remain beyond the reach of drug therapies. When we initiated our exosome research more than a decade ago, the medical community consensus was that exosomes were nothing more than cellular debris and had no biological function. However, we believed that tumor-derived exosomes contributed to cancer progression and as a result, we were able to obtain patent protection across a spectrum of therapeutic and diagnostic opportunities. Today, tumor-derived exosomes are known to play multiple roles in cancer progression, including immune suppression and seeding the spread of metastasis, which accounts for 90% of cancer deaths. In 2012 we published a manuscript entitled: “Exosome removal as a therapeutic adjuvant in cancer.” The paper proposed to implement our Hemopurifier as a strategy to improve the benefit of cancer therapies and has since been cited by researchers in more than 150 scientific publications. When considering that tumor-derived exosomes have been implicated in treatment resistance to 19 different cancer drugs, our strategy has never been more relevant. Last year, the top 10 cancer drugs accounted for $43.7 billion in sales. Of these, peer-reviewed research publications implicate exosomes in contributing to treatment resistance against seven of these drugs which accounted for $35.2 billion in revenues. This includes Avastin, Retuxin, and Herceptin, which are all Roche assets and are the #1, #2 and #4 top selling cancer drugs in the world. I mention this as on July 20th, Roche announced their first exosome related deal, which was a milestone driven research collaboration valued up to $1 billion with PureTech Health. As it relates to our exosome programs, we have several new disclosures. I know that many of you recall that we initiated a clinical study with the University of California Irvine Cancer Institute, which is an NCI designated cancer center. I’m pleased to report that the study enrolled 17 subjects among four cancers that included breast, gastric, head and neck and ovarian cancer. In total, we have taken delivery of 120 patient samples for clinical evaluation. So far, our research team has evaluated samples from the head and neck cancer subjects and have demonstrated in vitro that our Hemopurifier is effective in depleting exosomes. In fact, in a small-scale Hemopurifier study, we observed a 90% reduction in exosome levels in just 45 minutes. Related to this observation, we have collaborated with the University of Pittsburgh Hillman Cancer Center to author a 50-subject human study treatment protocol that has been submitted to the National Cancer Institute for funding. The protocol is entitled, “Depleting exosomes to improve responses to immune therapy in head and neck squamous cell carcinoma.” The goal of the study is to determine if Hemopurifier depletion of tumor-derived exosomes will improve the benefit of nivolumab, which is a checkpoint inhibitor marketed by Bristol Myers Squibb under the brand name Opdivo. Also regarding the National Cancer Institute, we concluded a phase 1 NCI contract at the end of June related to Metastatic Melanoma. Under this contract, we collaborated with University of Pittsburgh, Massachusetts General and Harvard researchers to demonstrate that our Hemopurifier mechanism has a high-affinity to capture melanoma-derived exosomes. Based on these outcomes, our NCI contract team has encouraged us to respond to a Phase 2 Proposal Request that they will post early this fall. Regardless, these results reinforce the outcomes of our early metastatic melanoma research with the MD Anderson Cancer Center. We have also demonstrated the capture of exosomes underlying breast and ovarian cancer and have other exosome-related proposals pending with the National Cancer Institute, which we will disclose once or if they are awarded. As it relates to our Exosome Sciences diagnostic subsidiary, our Diagnose CTE study has now enrolled a total of 20 former NFL players at the Translational Genomics Research Institute in Phoenix. Our next enrollment date is this Friday from 9am to 1pm. It seems that the industry for exosomal biomarkers to diagnose and monitor disease conditions might be starting to emerge as evidenced by Bio-Techne’s acquisition of our industry colleagues at Exosome Diagnostics in late June. The total value of the transaction was $575 million, of which $250 million was an upfront cash payment. With that said, I will now pass the baton back over to Jim Frakes, who will discuss our quarterly financial results. Thanks Jim and good afternoon everyone. At June 30, 2018, we had a cash balance of approximately $6.1 million. The net loss was approximately $1.1 million, or $(0.06) per share for the three months ended June 30, 2018 compared to a net loss of approximately $1.8 million, or $(0.21) per share for the three months ended June 30, 2017. During the three months ended June 30, 2018, we recorded $149,625 in revenues under our contract with the National Cancer Institute. During the three months ended June 30, 2017, no government contract revenues were recorded. Consolidated operating costs and expenses were approximately $1.247 million for the three months ended June 30, 2018 compared to $1.16 million in the three months ended June 30, 2017, an increase of approximately $87,000. The $87,000 increase was due to an increases in professional fees of approximately $106,000 and in general and administrative expense of approximately $8,000, which were partially offset by a reduction in payroll and related expenses of approximately $27,000. The $106,000 increase in our professional fees was due to increases in Aethlon’s professional fees of $95,000 and in our professional fees at ESI of $11,000. The $95,000 increase in our professional fees was due to a $66,000 increase in scientific consulting fees, which includes our payments to subcontractors under our NCI contract, a $41,500 increase in our Board fees due to the addition of new Board members, and a $39,000 increase in our marketing and investor relations fees. Those increases were partially offset by a $35,000 decrease in our legal fees and smaller decreases in other professional fees. The $8,000 increase in general and administrative expenses was primarily due to an increase in our rent expense of $15,000, which was partially offset by reductions in a number of other expenses. We had other expense of approximately $55,000 in the three months ended June 30, 2018 compared to other expense of approximately $685,000 in the three months ended June 30, 2017. We put out these earnings and related commentary in a press release earlier this afternoon. That release included the balance sheet for June 30, 2018 and the statements of operations for the three month periods ended June 30, 2018 and 2017. We will file our Form 10-Q quarterly report following this call. And, now, Jim Joyce and I would be happy to take any questions that you may have. Operator, please open the call for questions. Aethlon Medical, Inc. is a medical device company focused on creating devices for cancer, infectious disease and other life-threatening conditions. The Company operates through two segments: Aethlon, which represents its therapeutic business activities, and ESI, which represents its diagnostic business activities. The Company’s lead product is the Aethlon Hemopurifier, which is a device that selectively targets the elimination of circulating viruses and tumor-secreted exosomes that promote cancer progression. The Aethlon Hemopurifier sheds glycoproteins to treat infectious viral pathogens. In oncology indications, the Hemopurifier targets the removal of circulating exosomes, which are released to promote cancer progression and to seed the spread of metastasis. Through its subsidiary, Exosome Sciences, Inc. (Exosome), the Company is also developing exosome-based product candidates to diagnose and monitor neurological disorders and cancer.